How far have pharma companies actually progressed with putting patients and prescribers at the core of their businesses? Jo Fearnhead-Wymbs and Helen Hey present the results of a panel discussion designed to find out. The cultural changes in healthcare being ushered in by stronger and better-informed patients are still relatively new. But the effects run deep and are impacting pharma companies in many different ways as they are collectively challenged to change their habits to put the patient, as well as the prescribing physician, at the centre of their efforts. The participants were from large and mid-sized pharma, representing global, US and European perspectives; and, although all participants had a role in leading patient-centricity activities within their companies, they came from a range of backgrounds and had very different operational remits. Participants were asked how they saw their roles evolving, the main challenges and opportunities emerging, and what kind of support they needed. One thing they had in common was that they were enormously excited about their pioneering roles. The variation in how pharma companies were approaching patient-centricity was wide, embracing everything from C-suite initiatives instigating company-wide frameworks, to individual teams driving the creation of on-the-ground, patient-focused programmes to better serve patient needs. Questions were asked around how companies were realising their vision, how they were balancing commercial goals with patients’ needs, and their key learnings from their first months ‘on the job’. Important differences could be seen between the approach and progress of mid-size companies in specialist areas versus large pharma with broader therapy pipelines. Smaller companies working in fewer therapeutic areas seemed to be moving the fastest. This latter point was well illustrated by a specialist pharma company working in just a couple of disease areas. In order to see better how it was delivering for the end user, the company recalibrated every operation around specific patient-value units and gave everyone personal objectives linked to those units. Despite the range of patient-centric journeys that companies were undertaking, one common thread among the participants was the realisation that the changes required were massive, and the impact might not be apparent for years. When they talked about their role, it was generally referred to as a ‘slow burn’ with many participants describing an initial ‛blank sheet’. Getting a sense of the reality of what it means to be patient-centric, what it looks and feels like, how it is funded and how success is measured, is the crux of the matter and a number of questions were posed to the panel: what are the patient-centric challenges specific to each company? What to prioritise? Where can the industry develop immediate wins? How can we measure the value of a company’s patient-centric focus? Some participants spoke about a clinical research focus. For others it was more about adherence and improving health outcomes; however, all were in agreement that it entailed understanding and measuring cultural shift and it was unlikely that there would be a one-size-fits-all solution. In this cultural revolution, patients aren’t waiting. Moderator Andrew Schorr was quick to highlight initiatives where patients were increasingly taking control in an effort to improve their own outcomes. Pharma companies aren’t waiting either. But the biggest stumbling block for pharma and its partners may lie more in the cultural realm. Changing a business mindset, accustomed to dealing with physicians who make decisions based on hard evidence, to one focusing on patients coming to terms with an illness, is an entirely different ball-game. Partners supporting pharma companies need to be aware of the shifts in emphasis taking place wholesale across the industry to remain best placed to support effectively. This was further emphasised by the fact that there was hardly any mention of healthcare practitioners in the panel discussion, despite the fact that it would be expected that help should come from those same physicians with whom companies had built strong relationships and who had deep patient insights. 1 The panel discussion was initiated to find out how far pharma has come on its patient-centricity journey in the 12 months since the eyeforpharma conference headlined this question in 2015. Ashfield is hosting a patient track session at this year’s eyeforpharma event (Wednesday 16 March at 11.10am), which will highlight the company’s perspective on the journey so far, who is involved, and the approaches being taken and planned by the industry’s leading patient-centric individuals. It will investigate how companies are grappling with the strategic issues and starting to deliver on their vision. Helen Hey is SVP Global Business Development at Ashfield Healthcare Communications and in her role has oversight of the trends and innovations in healthcare and medical communications arena. She supports individual Ashfield agencies who partner pharma, biotech and device companies in delivering insight-led, integrated multichannel solutions. 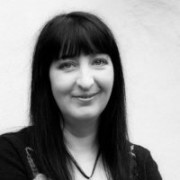 Having qualified with a BA (Hons) Nursing in 1989, Helen has more than 26 years’ experience of working in healthcare, initially as a nurse, then in various sales, marketing and medical roles within large pharmaceutical companies and latterly leading programmes in healthcare communications agencies. Since becoming part of Ashfield in 2014, she has been supporting successful cross-company collaboration delivering integrated programmes. Jo Fearnhead-Wymbs is Account Director – Patient Engagement at Ashfield Healthcare Communications, with over 10 years’ experience in the industry. She has six years’ experience working in a patient-focused role, developing patient support initiatives and working with pharma clients to identify where they could engage with patients to improve outcomes. Jo was responsible for driving the virtual patient forum and is passionate about making a difference to patients in a way that makes sense to pharma. Contact Helen on helen.hey@ashfieldhealthcare.com or Jo on jo.fearnhead-wymbs@ashfieldhealthcare.com.